A far-left activist group funded by George Soros is readying the women who accused President Donald Trump of sexual misconduct to demand a congressional investigation. The women had made their accusations just before the November 2016 election. Women who have publicly accused President Trump of sexual harassment and assault will unite for the first time to speak out about their experiences on Monday, December 11, at 10:30 AM. At the press conference, hosted by Brave New Films, the women will call for accountability and an investigation by Congress of sexual misconduct by the president. The women will share their firsthand accounts of President Trump groping, fondling, forcibly kissing, humiliating and harassing women. They are among the at least sixteen women who have come forward to accuse the president of sexual misconduct. Their disturbing allegations came to light before the post-Weinstein era of accountability for sexual misconduct and the rise of the #MeToo movement. In November, Brave New Films released “16 women and Donald Trump,” which tells the stories of the sixteen women who have publicly reported sexual harassment and assault by President Trump. These brave women have all spoken out individually. The video, which has been viewed over six million times, compiled their stories in one place for the first time. Now they are gathering in person to speak out and call for accountability. The group behind this obvious new attempt to force Trump out of the White House, Brave New Films, is a non-profit 501(c)(3) organization that claims to be “non-partisan” — a claim that becomes laughable upon a review of their donors and partners which include left-wing hit groups like Media Matters For America and Democracy For America. Stand Up, Senate! The President-elect is a hypocrite. Protect Public Education – Stop Betsy DeVos! 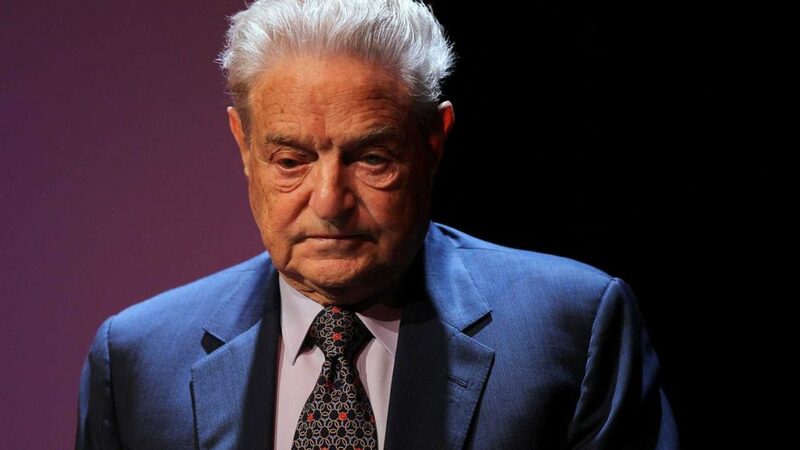 George Soros is a Democrat megadonor who “donated or committed more than $25 million to boost Hillary Clinton and other Democratic candidates and causes, according to Federal Election Commission records and interviews with his associates and Democratic fundraising operatives,” Politico reported. In the wake of Trump’s election win, Soros gave $18 billion to his Open Society Foundations, as he called for immediate action against Trump. “We must do something to push back against what’s happening here,” Soros said in November, as he warned of the “dark forces that have been awakened” by Trump’s win.